Landscapes from the Age of Impressionism, on view at the Akron Art Museum October 29, 2011 – February 5, 2012, offered a broad survey of landscape painting as practiced by leading French artists from Gustave Courbet to Claude Monet and their most significant American followers including Childe Hassam and John Singer Sargent. 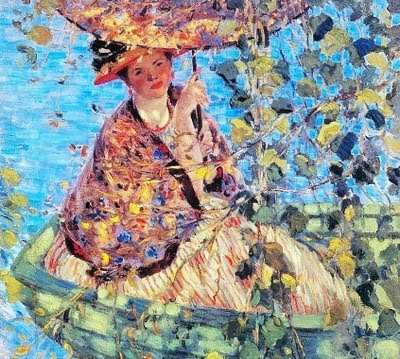 This exquisite exhibition of more than fifty paintings included many of the finest examples of French and American impressionist landscapes from the collection of the Brooklyn Museum as well as American impressionist paintings from the Akron Art Museum. 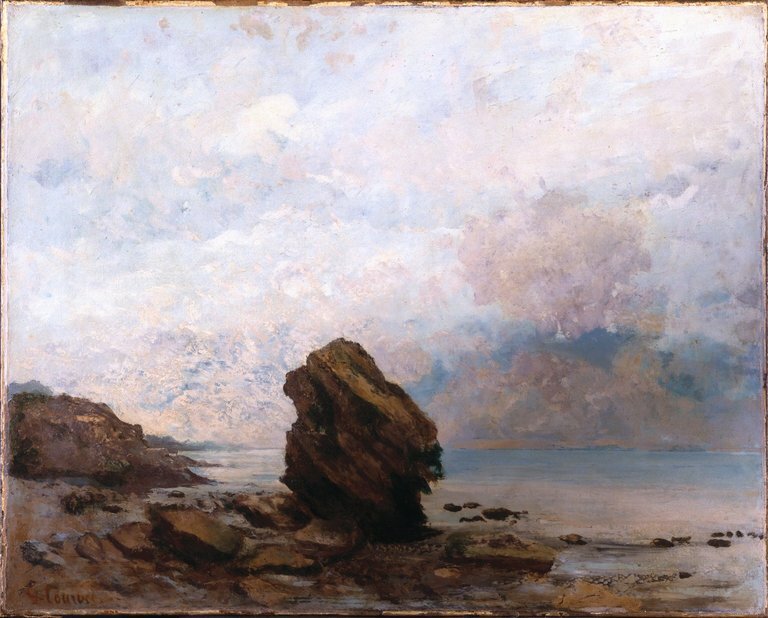 and Gustave Courbet's Isolated Rock (1862). 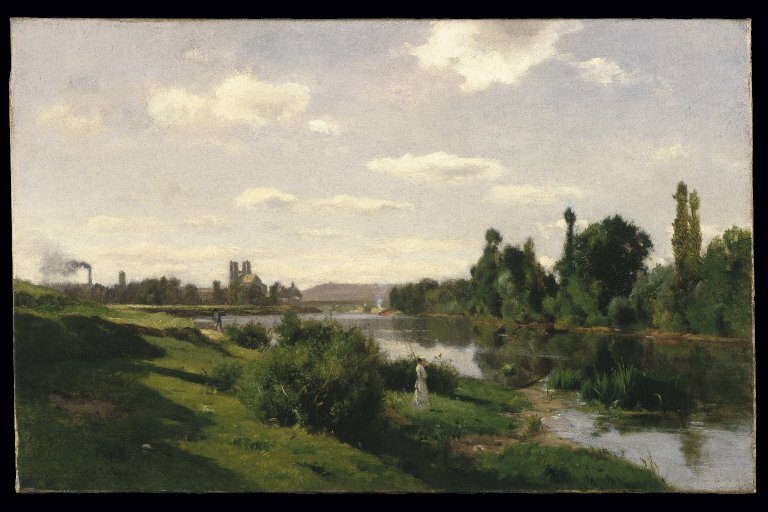 Both reveal the waning influence of the academic Beaux-Arts tradition, in which generalized landscapes served merely as background for historical or mythological scenes. 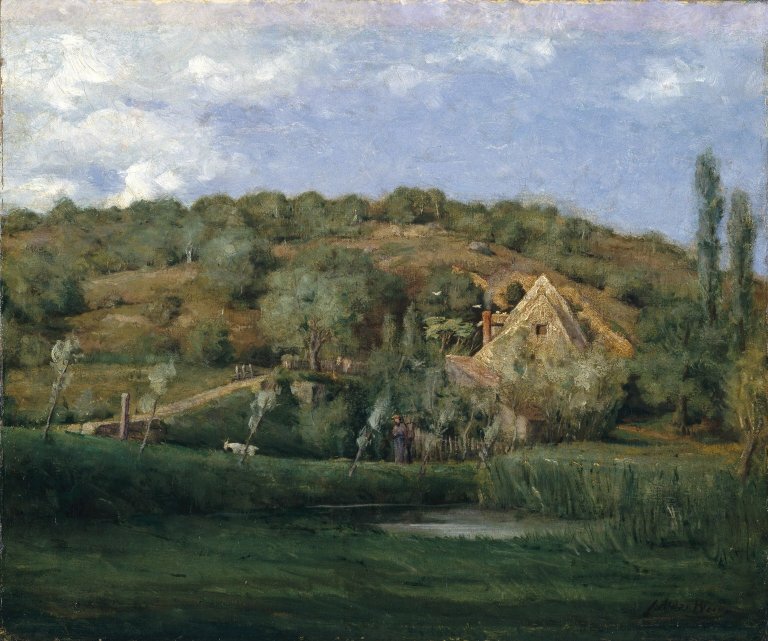 A new generation of artists, known as the Barbizon school, painted preparatory sketches directly from nature–en plein air–in the environs of Paris, setting the stage for impressionism’s dramatic assault on officially-sanctioned painting styles. and The Islets at Port-Villez (1897). 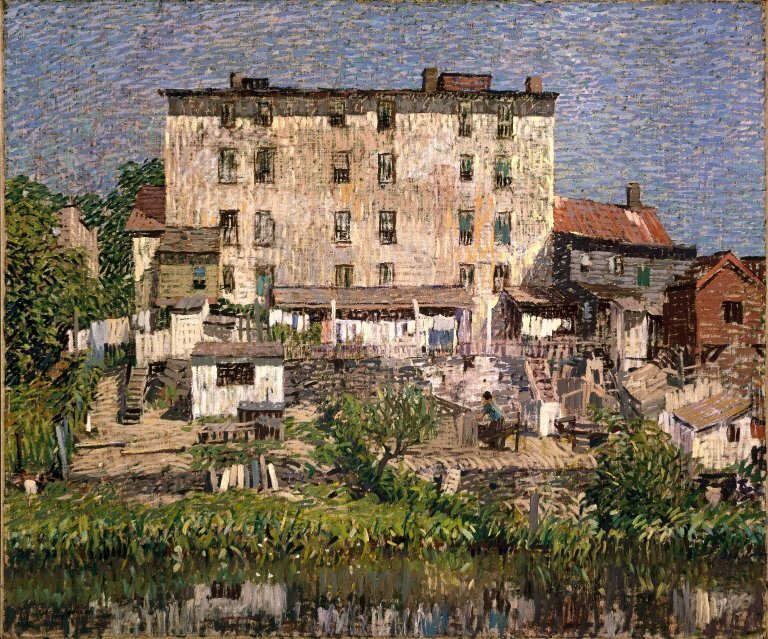 In the late 19th century, Americans who aspired to a career in painting typically trained at fine arts academies in Europe, especially Paris. 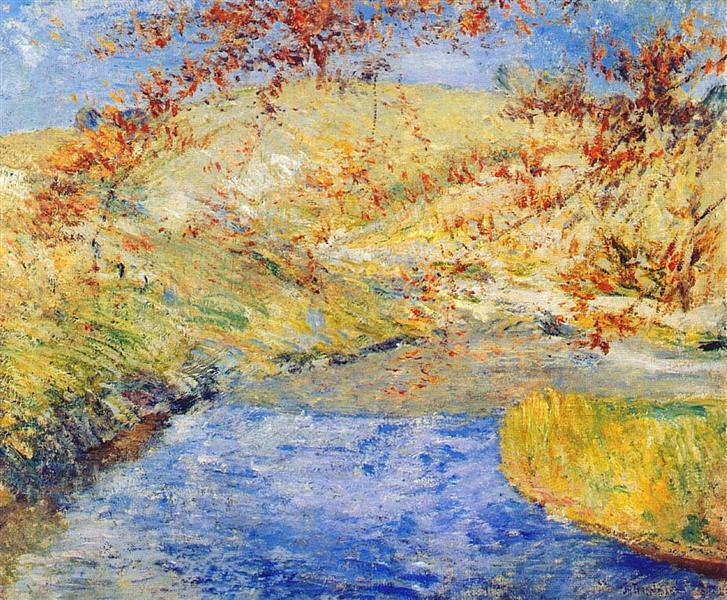 While there, many American artists like Frederick Frieseke and Willard Metcalf were inspired by the light-filled canvases of leading impressionists to take their easels outdoors, sometimes setting up right next to a French mentor who could provide informal instruction. 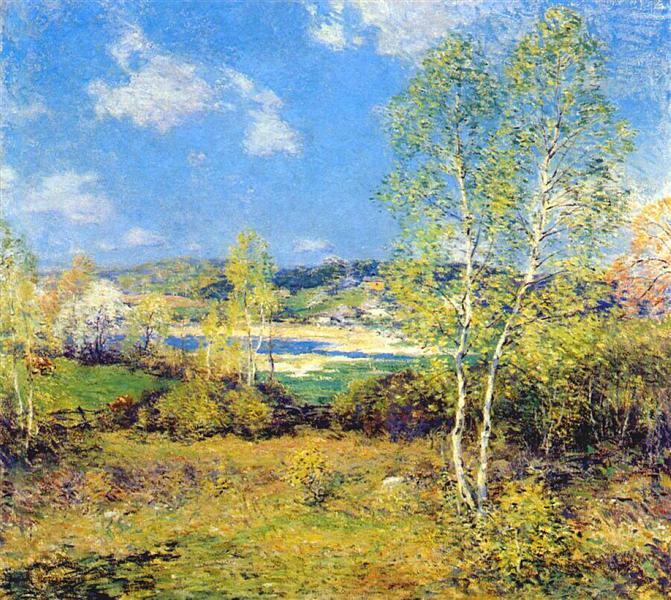 established a warm friendship with Monet over the course of several summers spent in Giverny. populated beaches, factories and tenements are given the same treatment as French Impressionist landscapes, painted with brilliant colors and lively, broken brushwork. 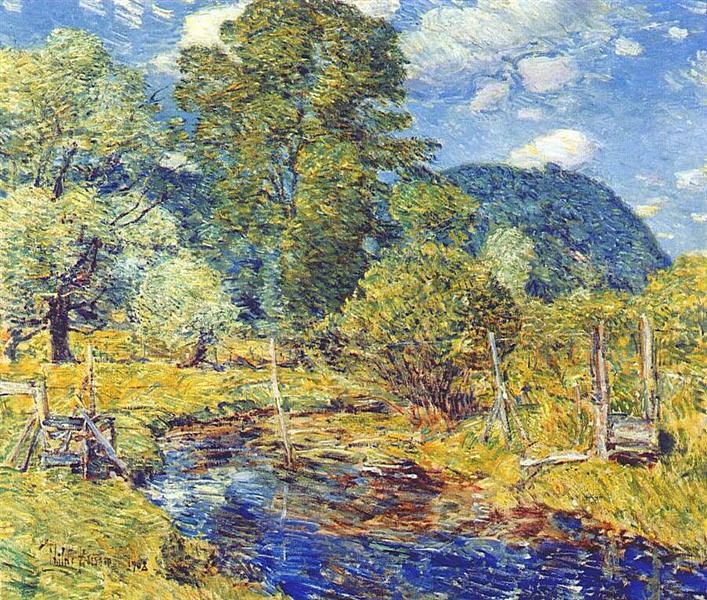 and Julian Alden Weir’s White Oaks (1913). The breadth of works included in Landscapes from the Age of Impressionism told the story of the development of French impressionism and its impact on American painting during a period when industrialization and technological advances were radically altering the face of the landscape, a phenomenon that artists responded to in highly personal ways. Artists forged strong relationships on both sides of the Atlantic through individual friendships, artist colonies and new artist groups, which afforded the artists a sense of community and belonging in a rapidly changing world.